It’s Minnie Mouse again! 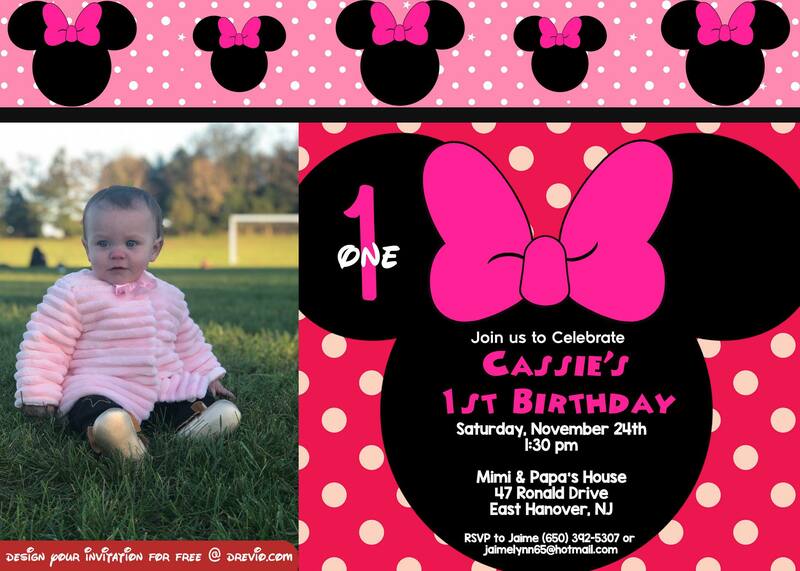 Don’t get bored with our FREE Minnie Mouse invitation template, our reader from New Jersey, Jaime, wants a free invitation for her 1st girl birthday party. 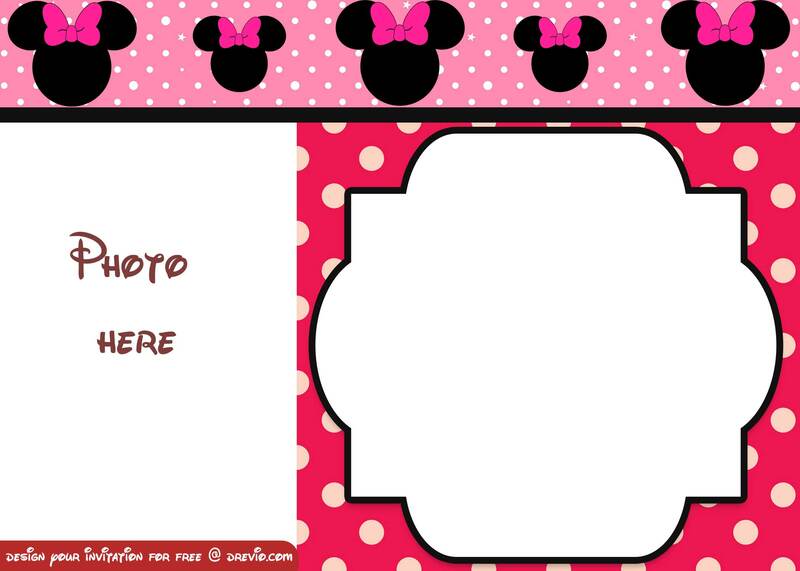 He loves one of our Minnie Mouse invitation template. 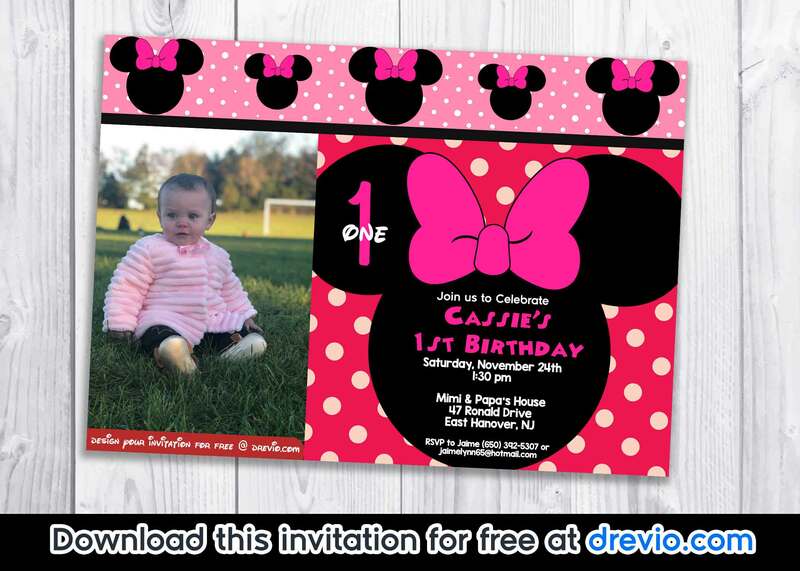 She requested via our Online Invitation Request menu ( where you can access too and get free design for your next party). Sure you can request yours too! FOR FREE! We never charged anything, but if you want to buy us a Starbucks coffee, then Thank you! You can add text on the invitation above. 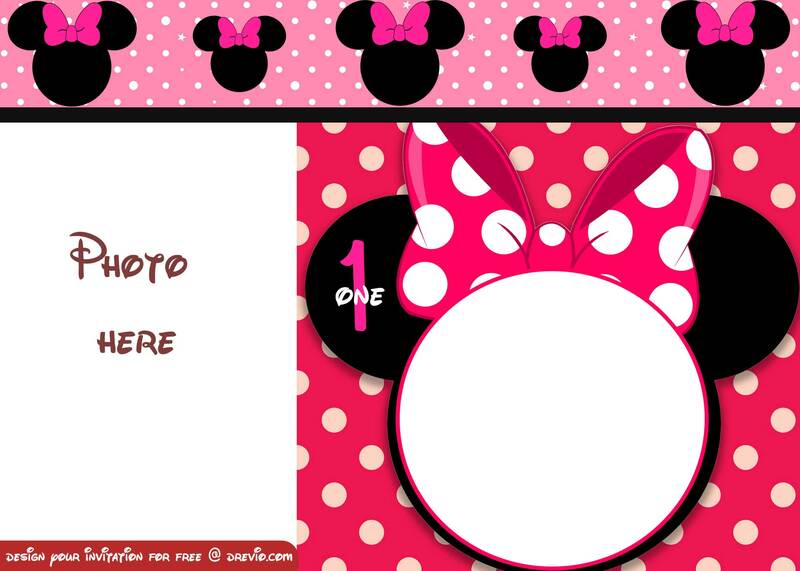 Coming with blank template, you can start write down your birthday party details on it. Write down time, date and location of your birthday party. 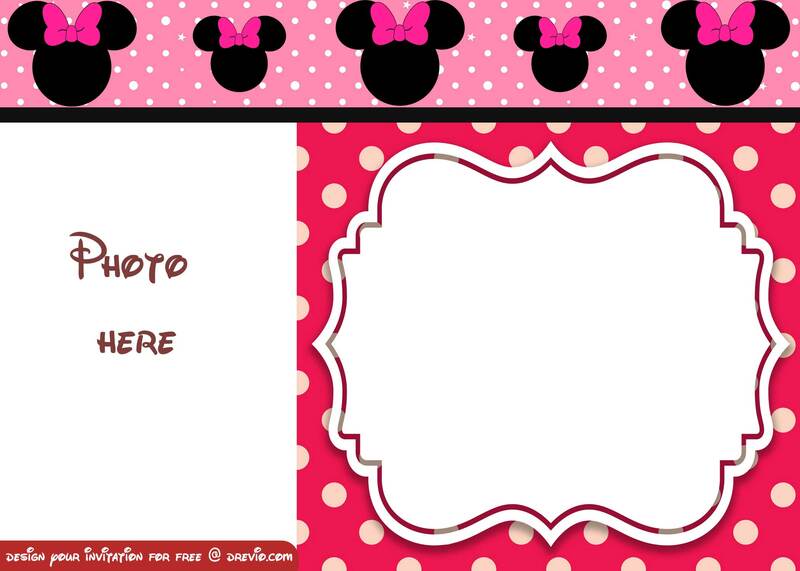 Use cardstock paper coz it brings authentic and premium feeling to your Fancy Minnie Mouse invitation. That’s all! 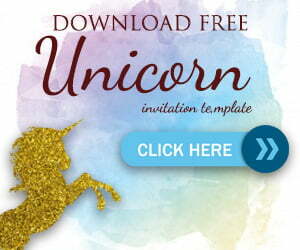 How to download the invitation? Click on the image and Save the image as. Easy right?